Updates to Dalila's profile since your last visit are highlighted in yellow. The birth of my nieces and nefews. AMAZING! 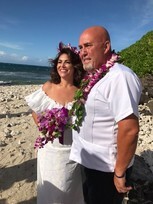 My marriage to a wonderful man! That it is not fair. Miss Rix. Thing was her name. The PE teacher. She always tried to make things right. Mexican. Easy to dance to. Caveman for comedy and Drama has to be Braveheart. My lifestyle change. I ride harleys now. Dalila Aguilar de Espinola has a birthday today. Dalila Aguilar de Espinola posted a message. Dalila Aguilar de Espinola added a photo to her profile gallery. 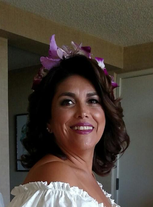 Dalila Aguilar de Espinola updated her profile. View. Dalila Aguilar de Espinola changed her "Now" picture. 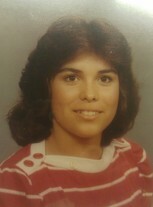 Dalila Aguilar de Espinola changed her "Then" picture. Dalila Aguilar de Espinola changed her profile picture.